Ireland's rolling green landscape, much of it untouched by development, makes it an ideal location for Walking, Cycling or Hiking for the enthusiast and casual walkers, cyclers' or hikers alike. Numerous signed walking, Cycling or Hiking routes of note have been developed over the last decade for the specialists in self-guided walking, cycling holidays (hiking tours) in Ireland. 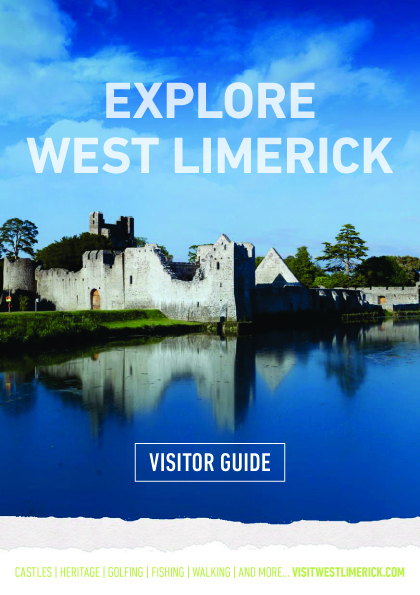 The Limerick Greenway (Great Southern Trail) is a unique 85km stretch of countryside in West Limerick/North Kerry. It is the route taken by the Limerick - Tralee railway line, which opened in 1867/1880 and closed in 1975/1977. Today the Limerick Greenway is suitable for walking and cycling off road along a approximately 40km route see map. If you are planning a holiday, or a short break to the Mid Western part of Ireland, why not check out the sections of the greenway trail, which have been developed for walking, cycling and Hiking. The Great Southern Trail Action Group are a non-profit group working to develop the Limerick to Tralee section of the trail so that everyone can explore this beautiful region in a safe, leisurely way by foot or bicycle. Dogs are permitted on the trail, please read a code of conduct for all trail users and observe the Leave No Trace Principles or Country Code. 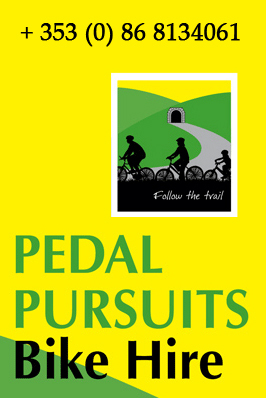 For the latest trail news go to the news page.